A task force report published 10 years ago (Chaffin et al., Child Maltreatment 11:76–89, 2006) cautioned strongly against potentially harmful unconventional principles and practices related to assessment and treatment of childhood attachment problems. In an exploration of changes over a decade in such assessment and treatment, the present paper reports results of a search for material about attachment problems in children done by means of Academic Search Complete and Google, and by examination of specific websites. The paper examines print and Internet publications on both conventional and unconventional approaches to attachment problems as they have appeared since the 2006 report. The contrast between conventional and unconventional perspectives remained at least as clear in 2016 as it was in 2006. Changes in conventional views of assessment, treatment, research, and theory about attachment have apparently had little influence on unconventional approaches, nor has the reverse occurred. Most of the principles and practices against which Chaffin et al. warned remain in place and may influence families and some mental health professionals. 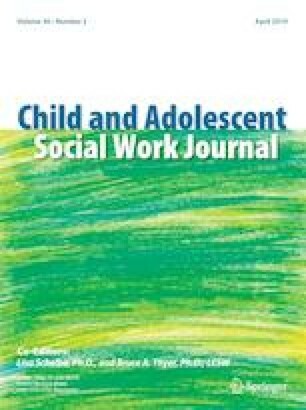 Understanding the contrast between the two perspectives, and the continuing possible effect of unconventional methods, can be advantageous for psychologists and social workers working with children or parents and for those involved with the courts. Advanced parenting for challenging children: Meet Kali. (n.d.). Retrieved August 10, 2015 from http://www.advancedparenting4kids.com/oregon-trainers/kali-miller/. Attachment parenting. (2015). Retrieved August 15, 2015 from http://www.askdrsears.com/topics/parenting/attachment-parenting. ATTACh accepted definitions. (2016). Retrieved August 16, 2015 from http://www.attach.org/resources/about/#abouttabs-6-tab. British Association for Adoption and Fostering. (2006). Attachment disorders, their assessment and intervention/treatment. BAAF Position Statement 4. Retrieved April 29, 2016 from http://corambaaf.org.uk/webfm_send/2066. Buenning, W. (2015). RAD checklists. Retrieved August 16, 2015 from http://www.reactiveattachmentdisordertreatment.com/ssi/checklist.html. Buxton, R. (2014). Reactive Attachment Disorder forced this dad to give up custody of his adopted daughter. Retrieved August 20, 2015 from http://www.huffingtonpost.com/2014/04/23/reactive-attachment-disorder_n_5199552.html. Caged kids’ case nears end: Vasquez’s fate in judge’s hands. (2007). Retrieved August 20, 2015 from http://www.independent.com/news/2007/May/03/caged-kids-case-nears-end- vasquezs-fate-judges-han/. Camps. (2016). Retrieved October 23, 2016 from http://www.attachment.org. Chedekel, L. (2016). Desperate choices: Giving up custody for care. Hartford Courant. Retrieved October 24, 2016 from http://www.courant.com/news/connecticut/hc-dcf-custdy-for-care-20161007-story.html. Childhood Attachment Disruption/Disorder: A Symptom Checklist. (n.d.). Retrieved from http://www.socialwork.msu.edu/koehler/docs/Symptom%20Checklist%20for%20Child%20Attachment%20Disorder.pdf. Dimond, D. (2013). Beware—A new breed of children. Retrieved August 20, 2015 from http://www.creators.com/opinion.diane-dimond/beware-a-new-breed-of-children.html. Frequently asked questions. (2016). Retrieved August 16, 2015 from http://www.attach.org/resources/faq. Gough, V. (2015). Chatham family claims suffering irreparable damage. Chatham (Ontario) Daily News. Retrieved August 20, 2015 from http://www.chathamdailynews.ca/2015/05/04/chatham- family-claims-suffering-irreparable-damage. Hage, D. (2007). Attachment symptoms. Retrieved August 20, 2015 from http://www.deborahhage.com/articles/rad.html. Hardy, B. (2015). Casting out demons: Why Justin Harris got rid of kids he applied pressure to adopt. Retrieved August 20, 2015 from http://www.arktimes.com/arkansas/casting-out-demons- why-justin-harris-got-rid-of-kids-he-applied-pressure-to-adopt/Content?oid-3725371. Howard, A. (2009). An evaluation of the psychometric properties of the Beech Brook Attachment Disorder Checklist. Doctoral dissertation, Texas Christian University. Retrieved October 24, 2016 from https://repository.tcu.edu. In the matter of Debra (Kali) Miller, Ph.D., (2014). Retrieved from http://www.obpe.alcsoftware.com/files/miller.debra%28kali%29a.f_559.pdf. Kelly, V. (2003). Theoretical rationale for the treatment of disorders of attachment. Retrieved August 19, 2015 from http://www.attach.org/resources/about/#abouttabs-5-tab. Lee, R. (2011). Expert: Child-parent bonding failed for Russian boy. Retrieved August 21, 2015 from http://www.ydr.com/ci_18884098. Levy, T., & Orlans, M. (2016). Trauma and attachment: Effective treatment strategies for helping challenging clients. Retrieved October 24, 2016 from https://www.pesi.com/Events/Detail/46973. Potter, D., Chevy, C., Amaya-Jackson, L., O’Donnell, K., & Murphy, R. (2009). Clinical guidelines series 2009 Reactive Attachment Disorder: Appropriate and inappropriate application of the Reactive Attachment Disorder diagnosis on an age continuum from birth through age 18. Retrieved October 15, 2016 from http://www.quantumunitsed.com/materials/2113_Reactive%20Attachment%20DIsorder.pdf. RADQ. (2011). Retrieved August 20, 2015 from http://www.housecallscounseling.com/wp-content/uploads/2011/10/RADQ-PDF-20100623.pdf. Treatment details. (2016). Retrieved October 25, 2016 from http://www.instituteforattachment.org/explore-out-services/family-treatment-program/#treatment. Van der Kolk, B., Pynoos, R., Cicchetti, D., Cloitre, M., D’Andrea, W., Ford, J., … Teicher, M. (2009). Proposal to include a developmental trauma disorder diagnosis for children and adolescents in DSM-V. Retrieved October 20, 2016 from http://www.traumacenter.org/announcements/DTD_papers_Oct_09.pdf. Vasquez, M. L. (2014). The impact of reactive attachment disorder on adoptive family functioning (doctoral dissertation). Retrieved August 20, 2015 from http://www.ir.uiowa.edu/cgi/viewcontent.cgi?article=5299&context=etd. Woolgar, M., & Scott, S. (2013). The negative consequences of over-diagnosing attachment disorders in adopted children: The importance of comprehensive formulations. Clinical Child Psychology and Psychiatry. Retrieved September 1, 2015 from http://www.ncbi.nlm.nih.gov/pubmed/23575458.